I couldn’t resist the name of Aloha Baby for this board when my newest client is from Hawaii. 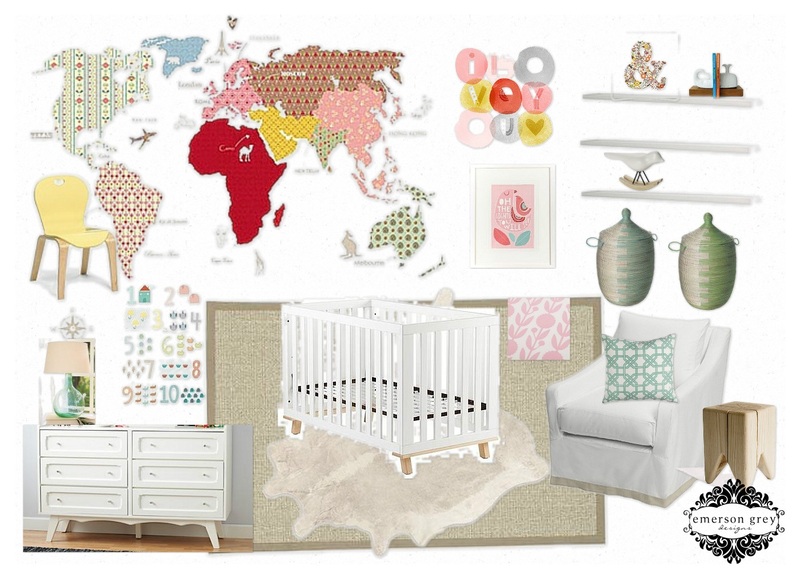 I recently completed the design board for her baby girl’s nursery. I wanted to share it with you all. Out of respect for my paying clients I do not provide sources used in this board. This design was super fun for me because of that amazing wall map! I can’t wait to see it all come together…and I may just be lucky enough to see this room in person one day. Crossing fingers! This is so fun! I love the colors, and that dresser is fabulous! Oh I love this! It makes me want to have a baby girl now! I have been scouring the web for the source of the map/wallpaper. Can you please let me know the source or where I can purchase? thanks! great inspiration!